Oldies Club is celebrating older dogs! We are holding a fundraising photo competition for the tenth year running especially for dogs age 7 and over. The winning dog will represent the Oldies Club for the following year. The only rule for this competition is that dogs entering need to be veterans, they do not necessarily need to be rescue dogs to enter. We have divided the UK up into 7 regions (North East, North West, South East, South West, Midlands, Scotland and Wales). The winner of each region will go forward to the Grand Final. As this is our tenth anniversary we have decided to add an additional international region. For this year only supporters from outside the UK will also be able to take part. The competition will run for the month of March, closing at 9pm on Saturday 31st March 2018. Entry cost is £2 per entry (one photograph per entry). You may have as many entries as you wish. Payment can be made by Paypal or cheque. Our address for Paypal is paypal@oldies.org.uk Please can you state when sending the money that it is for WOOF FACTOR, who you are and which photos the payment relates to. If anyone wishes to pay by cheque please can it be made out to Oldies Club and sent to : 49A Kinross Close, Cinnamon Brow, Warrington, Cheshire, WA2 0UT (Please do NOT send photographs to this address). Please can you make sure you send a note with your payment so we know who you are and which photos the payment relates to. NB. You must own the copyright of the pictures you are posting as any photos entered may be used for future promotional material by Oldies Club. No studio shots such as those taken at Pets at Home events. Oldies Club Committee members are unable to take part in this competition. This rule does not apply to helpers or other associates. Photos should ideally be a headshot or show the dog clearly. Photos will need to be sent to amy@oldies.org.uk . Please state name and age of the dog and also which region you are in. Please do not send us hard copy photos through the post. Only those photos which have their entry fee paid by the deadline will be sent to the judges. Rosettes will be awarded to the 1st – 3rd place winners in each region. Overall Woof Factor winner will get a Mini Photo Shoot, sponsored by Bridget from Bridget Davey Photography . Bridget is a professional Dog & Pet Photographer around Beds, Bucks & Herts. The winner will receive a professional mini outdoor dog photo shoot, professional editing of the photos, personal viewing & ordering session and a £50 Print Credit towards any Wall Art (Canvas, Wall Mosaic or Framed Prints). The win is for a photo shoot around the MK area (incl 10miles) for a weekday session and is for one or two dogs of the same family. Valid until June 2018 and need to be booked within 7 days after the win. Bridget’s FB page is: https://www.facebook.com/BridgetDaveyPhotography … RRP £145. No products or digital files are included in the win. All 8 Regional winners will also win goody bags. Rosettes have been kindly donated again by Marlin Rosettes. Oldies Club Patron Marc Abraham, better known as ‘Marc the Vet’, is one of the nation’s favourite media vets giving pet advice, promoting animal welfare, responsible pet ownership, and rescue pet adoption. 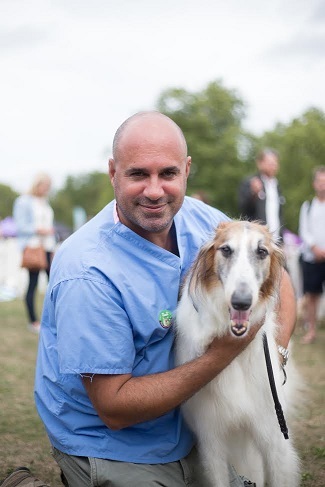 Marc is a practicing vet at St Francis Vets in Brighton, a Parliamentary lobbyist in Westminster, and also founded the PupAid campaign/celeb-judged fun dog show to end the cruel puppy farming industry. Marc has written two books Vet on Call, and for animal-loving children Pets in Need; he is also producer of movie documentary about puppy farming Dog By Dog. For more information about Marc the Vet visit his website, follow him on Twitter and like his page on Facebook. Dr Daniel Allen is an Animal Geographer from Keele University and member of the All-Party Parliamentary Group for Animal Welfare (APGAW). Daniel has written two books, ‘Otter’ (Reaktion Books, 2010) and ‘The Nature Magpie’ (Icon Books, 2013), and regularly writes for Dogs Today, BBC Wildlife magazine, Countryside magazine and The Conversation. Daniel enjoys helping organisations who advocate animal welfare. As Media and Policy Advisor for the UK Wild Otter Trust (UKWOT), Daniel helped secure the first Natural England initiative class licence to live capture and relocate otters trapped inside fenced fisheries. In 2018 Daniel teamed up with the Stolen and Missing Pets Alliance (SAMPA) to help promote their pet theft campaign. His petition to ‘Reclassify the theft of a pet to a specific crime in its own right’ reached 20k signatures in the first week. The aim is to reach the 100,000 signatures required to trigger a debate in Parliament. 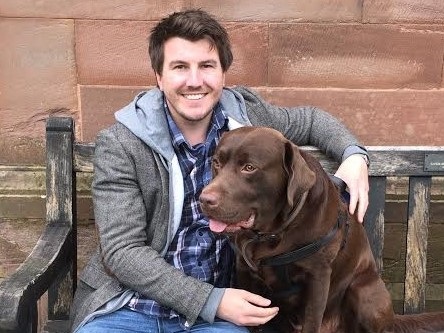 Daniel lives in Staffordshire with his partner Louise and six-year-old chocolate Labrador Rupert. For more information about Dr Daniel Allen, please visit his website www.drdanielallen.co.uk and follow him on Twitter https://twitter.com/Dr_Dan_1. Cassie runs Harley’s heroes which was set up in January 2017 after her own beautiful girl lost her 11 month battle with cancer. Harley’s Heroes was set up to help people going through the same with their own dogs. They mainly send “smile” boxes with all of Harley’s favourite things in to help cheer the dogs and owners up. This year they are aiming to help more dogs financially and become charity registered. So far they have helped with £3000 of vet fees and sent 145 boxes to dogs going through cancer diagnosis and treatment. Harley was an amazing girl and is very much missed. In Cassie’s spare time for a real job she is a chef, which goes down well with Harper 12.5yrs staffie cross (Harley’s real mum) but acts like a puppy, George 5yr old jack Russell who is very cheeky and lovable and Tiggy 14yr old yorkie had a bad start but has been amazing this year and he’s been their little saviour after losing Harley. Cassie is a trustee of a local rescue (Rochdale dog rescue) and also help when she can at Pendle dogs in need. Both amazing charities. George and Cassie also enjoy agility but he’s much quicker than her!! She also likes photography and do a little in her spare time….not that she has much! See the World as Dog’s Do. Running with the Wind and chasing Leaves. 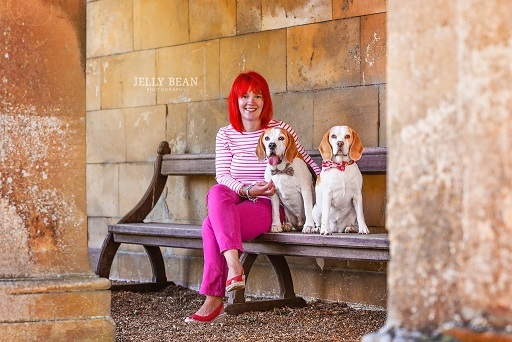 Bridget is the red haired girl behind the camera at Bridget Davey Photography and she is madly in love with Dogs … well everything furry with four legs and a waggy tail or bum really :) Bridget and her husband are owned by their two Beagles, Porthos and Lucy. Thank’s to them, Bridget Davey Photography came to life. These two are her best friends and companions, location scouters and cheese testers, ball chasers and well just the most awesome dogs ever! 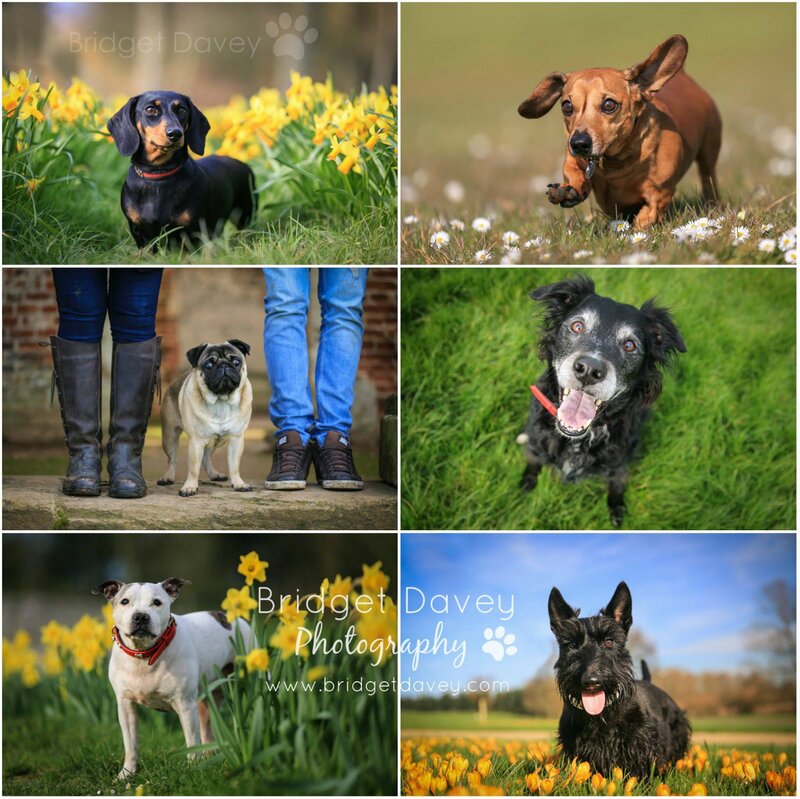 Today Bridget is working as professional Dog & Pet Photographer, based in Leighton Buzzard, Bedfordshire and London. Every Pet is unique and so are her sessions. Each one is carefully designed to suit your amazing pet. If your dog is a crazy fur ball who loves to chase squirrels, your cat loves to lay in the window and rules your house … Bridget loves to tell their story, creating stunning colourful images to hang on your walls and which will show your amazing pet’s character. As a Dog Owner and Pet Lover “Giving Back” is very close to her heart. Since 2012 she is volunteering at the HULA Animal Rescue, the RSPCA Blackberry Farm and the Appledown Dog Rescue, photographing their furry residents, which looking for their furever home. Bridget is a member of Heart Speaks, a worldwide network for Photographers and Artists, who give their time and talent to support the Animal Rescue Centres in need. 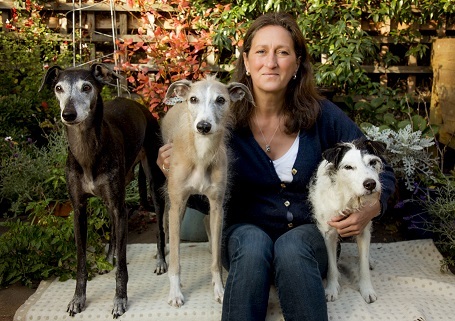 Winkie Spiers lives with her 3 dogs (Dennis ex rescue parsons terrier, and Lurchers, Maisie and Pete) in Battersea, SW London and works full time as a dog trainer and behaviourist. She is Chairwoman and Honorary Member of Pet Dog Trainers of Europe, a Worldwide professional association and speaks at symposiums, workshops and seminars worldwide, also member of APDT, ABTC and BTPA. Her first book, ‘How to Handle Living With Your Dog’ was published in 2008. 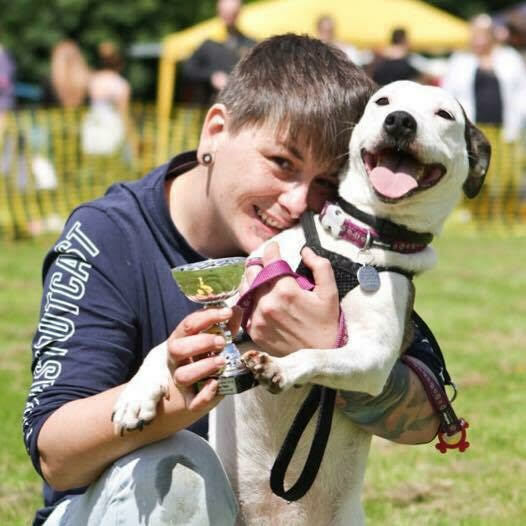 In terms of her approach ‘it’s not just about training it’s about dogs being dogs and creating a happy and healthy environment in which each dog can feel confident, safe and understood’. Understanding what dogs actually need in their lives is vital and giving opportunities for acting out normal dog behaviours is essential for a functional and happy dog. Pip Tomson is an award-winning television presenter, reporter and journalist. She can currently be seen and heard on ITV’s flagship breakfast show Good Morning Britain. Since the show launched in April 2014, Pip has covered the programme’s Los Angeles and New York bureaus and reported live on various breaking stories around the UK and abroad. During her career, Pip has won two Royal Television Society awards for Presenter of the Year. 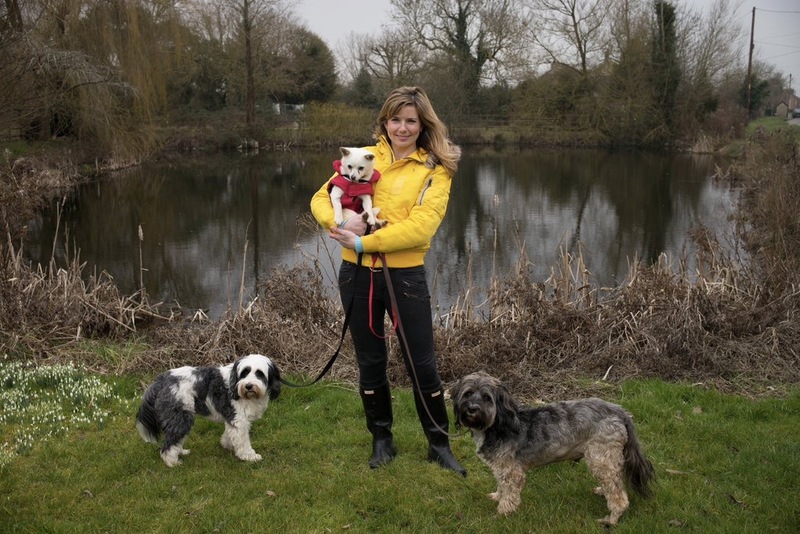 Away from live news, Pip loves spending time with her two Tibetan Terriers BG and Billy Boy and her Chihuahua cross Bindi. She was rescued from a dog meat farm in South Kore last year. Whenever and wherever she can, Pip now campaigns to end the dog meat trade. Pip is also an accomplished and experienced event host. She has successfully hosted numerous events around the country for the likes of Sir Ian Botham, Steve Cram, Kevin Pietersen and many more.